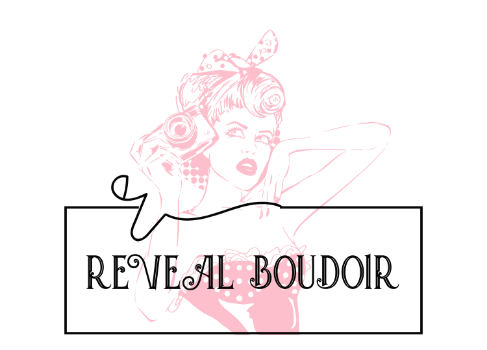 READ WHAT PREVIOUS CLIENTS ARE SAYING ABOUT THEIR BOUDOIR EXPERIENCE AND THEIR PHOTOS! *Just wanted to say thank you, again, for a wonderful evening. I don't know how else to describe it other than 'enlightening'. You truly are wonderful at what you do, and you made me feel incredibly comfortable AND beautiful. I really cannot thank you enough :) ~ "J"
*OMG Marlene !!!!!! !, Just saw the pictures, you made me so beautiful, I am in awe of how amazing the pictures are. I cannot wait to see the rest of them, Thank you sooooooo much !!!!. . . ~ M.F. *Hey Marlene! So, I went home last night, and looked at the pictures. I am in LOVE with them. You did such an amazing job. I don’t know how I am going to be able to narrow it down… haha. I can’t thank you enough for doing these photos for me. It’s one of those things that I did for myself, and it’s definitely a turning point/milestone in my life, and I have you to thank for capturing it for me. I look at where I was 8 years ago, how unhappy I was and with little confidence in myself, and then I look at those pictures, and that is all changed now. I am probably the happiest I have been in my life, and I know who I am now… I know what I want, and the pictures just took it one step further to give me that last bit of confidence I needed… Life is quite the journey, and I think I have started a new chapter!! Thanks again Marlene… I can’t stop telling people about how wonderful of a job you did… Y.V. *Hey Marlene, I just got my album and am so pleased with it!! You are truly a very talented photographer! Thank you so much for the amazing experience and finished product! . . . A.S.
*Thank you so much Marlene!! I have checked all my favourites. My husband wants to phone and thank you, I gave him a preview!!! He is still in shock that I did the photo shoot! Thanks again, look forward to the book arriving! …H.D. *Wow!! I loveeee them!! So much better than I could have even imagined :) you are soo ridiculously talented! Thanks again Marlene. As nervous and as awkward as I felt, you really made it a comfortable experience and are awesome at giving direction! :) :) ~ K.M. *Hello Marlene – Just wanted to tell you that I couldn’t wait till Valentines day so I gave it to him last night. I have been with him for 25 years and have never seen him shed a tear but he did last night. Thank you again!! ~ P.H. *You were so supportive and had so many amazing ideas for my session! I’ve never felt so beautiful in my entire life and you were able to capture my personality in every photo!! I had so much fun! ~ T.A. *I had a wonderful time last night, I can’t stop talking about how great it was! Thank you so much for your patience and making me feel so comfortable and beautiful. I look forward to seeing the photos! ~ N.